Choice of casters: rubber or polyurethane. Select the caster that allows the right combination of rollability and maneuverability to suit your requirement. Rubber resilient with 200 lb. capacity or polyurethane with 250 lb. capacity. Casters are swivel and non-marking. Open wire design minimizes dust and increases air circulation and visibility. Post has rolled, circular grooves along its entire height at 1" intervals. A tapered split sleeve snaps together around each post. Tapered openings in the shelf corners slide over the tapered split sleeves providing a positive lock. 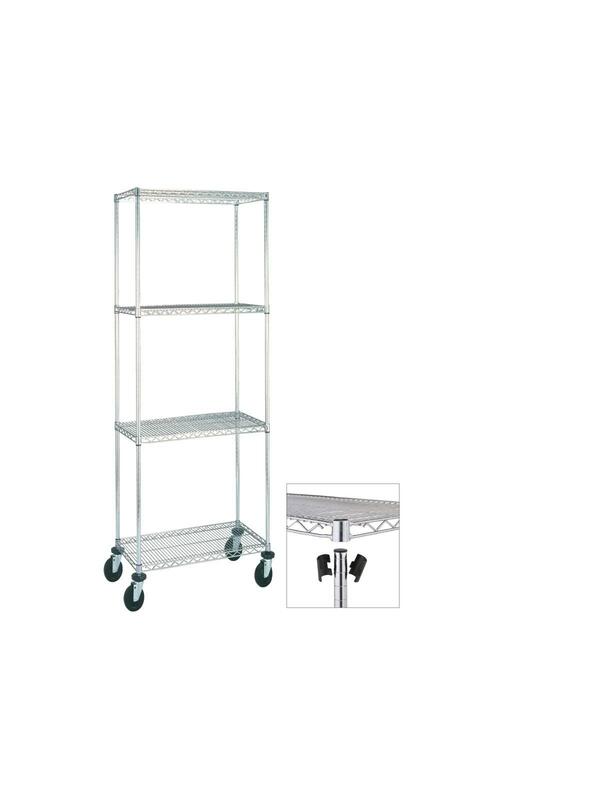 Cart is strong and versatile and assembles quickly. Wire shelving offers hundreds of possible combinations. FOB Shipping Point. 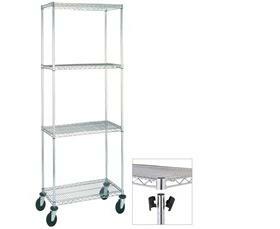 MOBILE UNITS INCLUDE: 4 Shelves, 4 Posts, 4 Casters (2 swivel & 2 swivel with brake), 4 donut bumpers. 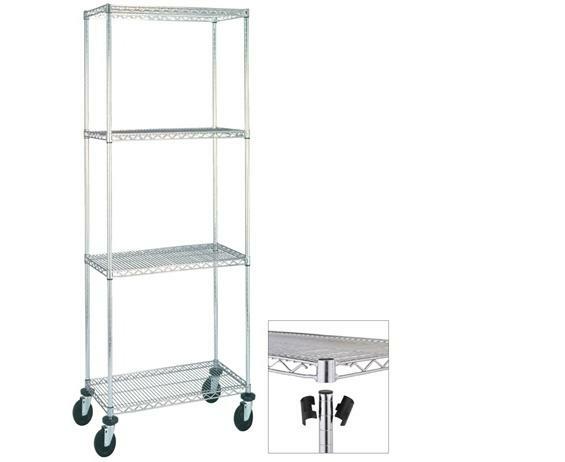 See Related Items tab for Ledges & Dividers and Shelving Accessories. 18 x 72 x 69"18 72 69"